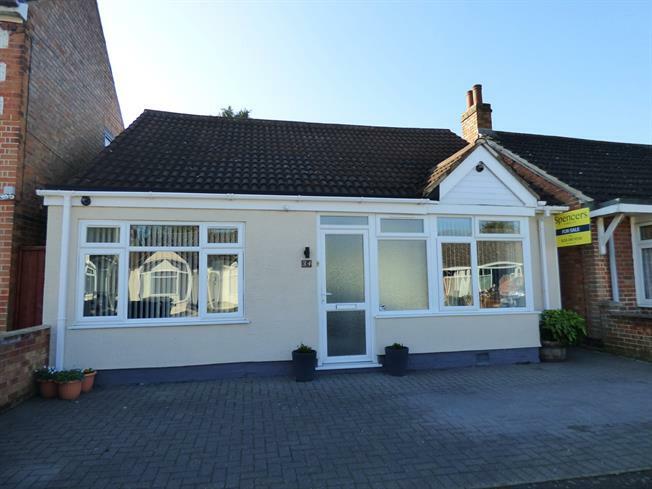 3 Bedroom Detached Bungalow For Sale in Leicester for Offers Over £230,000. A very well presented and spacious three bedroom detached bungalow which has accommodation comprising porch, hall, spacious lounge, modern fitted kitchen, utility room, three bedrooms and family bathroom. Outside the property benefits from a block paved frontage providing off road parking. To the rear of the property is a landscaped garden with paved patio and lawn, established greenery and shrubs, fenced boundaries and gated side access. This fantastic property would make the perfect family home and should be viewed internally to fully appreciate the accommodation on offer.